This is a first-hand report by a top German intelligence agent sent to the still-neutral United States in World War I. Official German records, captured by British and American forces at the end of World War II, show the memoirs of the German naval officer to be accurate.
" 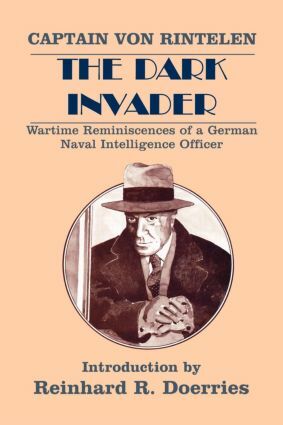 Gripping and excellently written memoir of spy Rintelen"s espionage activites in 1914 America, attempting to sabotage communications and arms shipments between the US and her allies." The Northern Mariner -" a fascinating read. One wonders why the story has not made it to the screen!